Comet Hale-Bopp wowed everyone with it's stunning perihelion in 1997, and is not due for another until the 44th century. The recent talk of the Perseid Meteor Shower amongst news websites and space enthusiasts has begun to remind me how much of a fascination I hold in the vast universe that encompasses our planet, and just how little we know about said universe and the potential discoveries that await within it. Although my girlfriend was able to view some meteorites in this recent shower, I myself was not as fortunate due to living in an area drowned in artificial light - not to mention that it was cloudy here during the peak on August 12. But it has reminded me of a dream I had once - it was back in May 2011 so it's far from recent, but the theatricality and coherence of it was extremely interesting and something I would crave to see happen in real life. So, in my most random blog post ever, I am going to tell you all about this really awesome dream. Essentially, the dream spanned three different games: Pokémon Silver Version for the Game Boy Colour, Metroid Prime 2: Echoes for the Gamecube and Animal Crossing: City Folk for the Nintendo Wii. It was based around (308635) 2005 YU55, a hazardous asteroid discovered by R.S McMillan in December 2005, announced at the time to be approaching a perihelion in November 2011. There is no significance of the asteroid (which was more like a comet in the dream), as it is one I never had much interest in, but seemed to appear in the dream due to my own recent discovery of it's approach at the time and my interests in meteors/comets in general. This is how the comet looked through Cherrygrove Observatory. It was a flashing sprite. So, how could these games and a lone rock drifting aimlessly in space possibly coincide? Through my totally screwed up brain and the randomness of dreams, that's how. In Pokémon Silver Version, I was at Cherrygrove City, a small town seen early on in the game and home to a very wonderful piece of 8 bit music. When playing the game in November 2011, a new building had appeared in the small town: Cherrygrove Observatory. Further inspection revealed it to be the home of a large space telescope to view the star riddled night sky, which when doing so would bring up an image of a blue backdrop dotted with white pixels and a large, triangular flashing sprite in the center, a small blocky trail flowing from behind it. This portrayal of the comet was probably the most memorable of the three, and something I would be amazed to see Nintendo do. The reason for Cherrygrove City being the setting is most likely because it is one of my favourite areas in the game, with a lovely background music track that feels far more apt during the nighttime hours. The sky here was very sunny, with the comet appearing as a blinding yellow light. I have exemplified the entirety of my graphic skills with that last image, so I cannot provide any half decent ones to display the comets appearance in the two subsequent games - time for your imaginations to kick in! In Metroid Prime 2: Echoes, the comet was visible everyone on Aether - but the key moment I remember viewing it was in Torvus Bog, the game's second main stage, in the sunny sky. Once Torvus Bog is cleared of the evil within, the endless depressing rain and gloomy skies morph into pleasing sunshine, through which the comet was visible as a huge, glowing sphere shrouded in a blinding yellow light. A slowly descending pointed trail was drifting from behind, and it also had some animation attached which portrayed the gases surrounding it slipping across the rocky surface as it passed through space. The stars were accompanied by an animated rendering of the comet, glowing white. 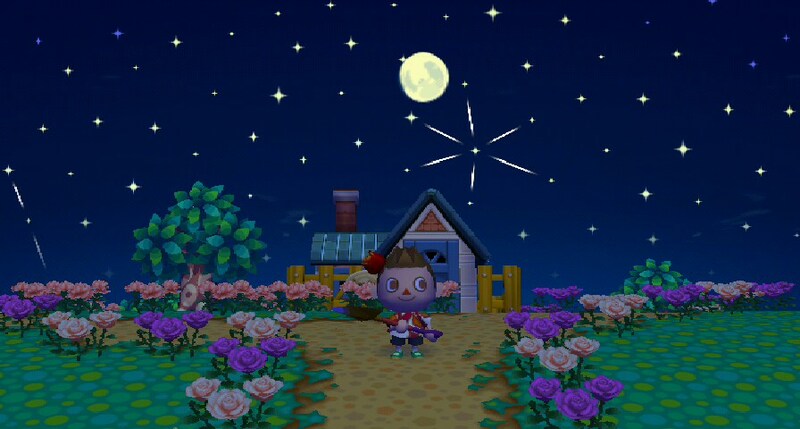 At night during Animal Crossing: City Folk (I know I'm British, but the European name is beyond stupid), one can view the starry night sky plastered with incandescent white dots and a glowing pale moon, with constellations even visible. In the dream, the comet was soaring above in the night sky, appearing to be stationary but animated in a way that proved it was definitely moving; the gases passing over it's rocky surface and the trail drifting slowly behind, just like in Metroid Prime 2. 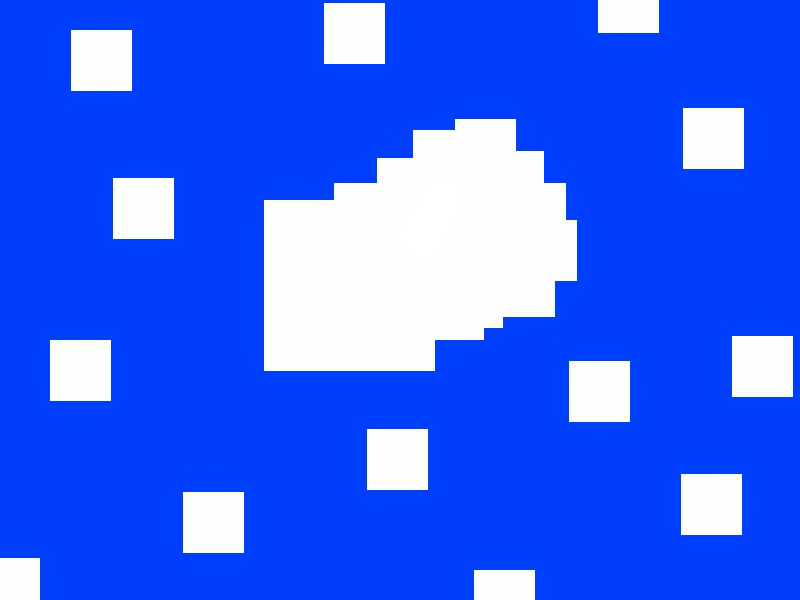 It was a bit less realistic looking than in the aforementioned game, appearing as a smoothed out and animated version of the Pokémon Silver sprite, glistening white in colour. Some of the characters in the game even mentioned it and why it was here - and were even celebrating and admiring the sight. Unlike the previous two, I am pretty certain why this game appeared in the dream; most likely due to the fact that it takes note of real life events such as Christmas, which I find very enjoyable, and so was an apt choice to feature an event like the comet passing. Not that I had any choice, mind you - my sleeping brain did all the work! So, that's the dream in it's entirety. Pretty strange but extremely interesting, and left me feeling very satisfied and craving to listen to some Cherrygrove City music. Most of my dreams are deranged, incomprehensible nonsense, but once in a blue moon I experience a really entertaining one that plays off of my interests. Thanks for reading, I hope you enjoyed it, and I may do some more stuff like this in the future!